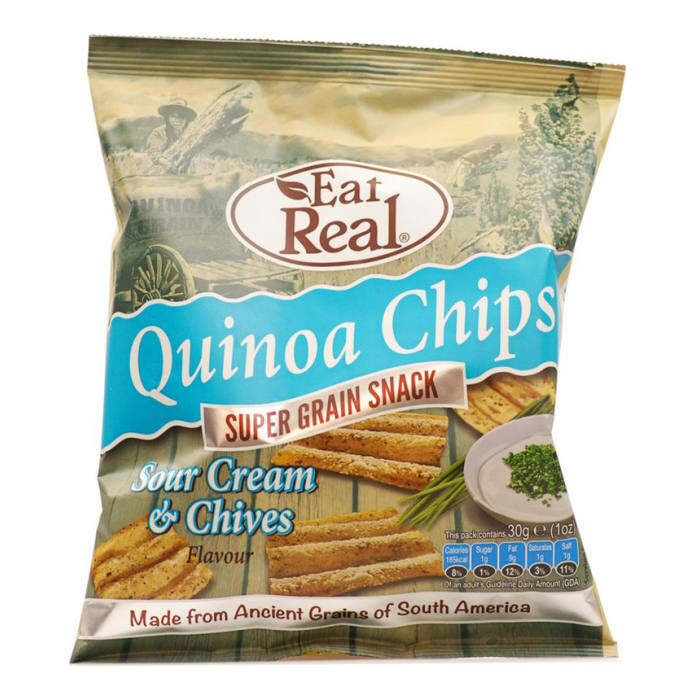 Eat Real Quinoa Chips Sour Cream & Chives isa crunchy and crispy snack made from quinoa flour, flavoured with sour cream & chives.Eat Real's desire is to create a product that is an enjoyable healthy alternative to standard snack and confectionery items and to distinguish themselves from other brands.Eat Real Quinoa Chips Sour Cream & Chives is an excellent choice of picking a healthy and enjoyable snack. Its made from real and natural ingredients which is highly nutritious. No artificial flavorings,colorings, and preservatives.